What Is Included In a Criminal Defense Attorney Consultation? // What Does a Criminal Defense Attorney Consultation Include? If you find yourself charged with a crime, the first thing you should do is find a New York criminal defense attorney that specializes in handling the offense you are charged with. Any reliable attorney should be willing to meet with you for a consultation to review your case in person. This will allow you to determine if you’re a good match as a potential client. 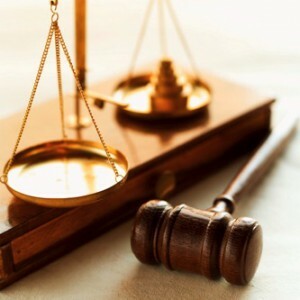 Research the attorney’s history of success defending clients in similar situations, as well as the laws and penalties that you are faced with. Knowledge of the charges against you. Your best defense is having a clear understanding of the laws surrounding your charges. Utilize New York State websites and, if applicable, federal websites to ensure that you’re receiving credible information. Make note of anything that is unclear or that you think may be beneficial to your defense so that you can discuss these items during your consultation. Any and all documentation you have. It’s important to bring any legal documentation you’ve already received with you to your consultation. This includes summons, police reports, and jail documentation, as well as documents for any prior charges pertinent to your current case. Aside from any legal paperwork, be sure to bring along any additional case-specific information you have, such as insurance documents, receipts or hospital records. A list of questions for the attorney. Attorneys understand that most clients will not have a comprehensive knowledge of the law, even if they have taken the time to familiarize themselves with their charges. It is the lawyer’s job to ensure that the client understands what he or she is up against, so don’t be afraid to ask questions during your criminal defense attorney consultation. Finding a reliable, experienced criminal defense attorney can make all the difference in the outcome of your case. 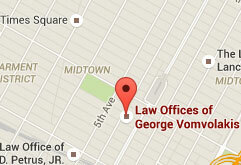 To set up a consultation today, contact the offices of George Vomvolakis via e-mail at gvomvolakis@vomlaw.com, by phone at (212) 682-0700 or at his office at 275 Madison Avenue, 35th Floor, New York, NY 10016.